When I hear from loyal Swagbucks members about their favorite Swagbucks Shop & Earn destination, the answer invariably comes back Walmart. Every extra penny saved matters and it’s basically impossible to beat any cash back on top of Walmart’s low prices. 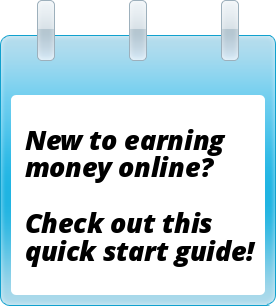 So when I heard that Swagbucks is giving you more for every dollar you spend at Walmart, I had to share! 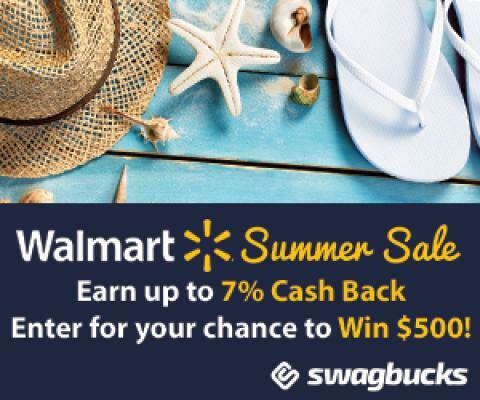 That’s right, Swagbucks is making earning Cash Back easier and giving away $1,000 in prizes when you Shop & Earn at Walmart. Plus, be entered into their Walmart Summer Sweeps! For every $25 you spend at Walmart from May 16th through May 31st you’ll be entered to into their $1,000 Giveaway! The more you spend, the better your odds! *All prizes to be paid out in SB.